First published in 1886, Robert Louis Stevenson’s novella The Strange Case of Dr Jekyll and Mr Hyde is the sort of book I like to read at nighttime, under a blanket, with only a torch to light up the words on the page. The novella devolves upon the story of Dr Jekyll, a middle class bachelor who leads a tormented double life. While Dr Jekyll wishes to indulge in illicit pleasures he labours under the strain of maintaining an external mask of confidence and gentlemanliness. Wishing to escape from his rigid and stifling public persona, he creates a potion that allows him to turn into Mr Hyde. Through Mr Hyde, Dr Jekyll can act out the timid aggression of middle class gentility. But Mr Hyde is, unfortunately, ready to turn against those people who are representative of the restraints that have kept Jekyll from happiness. The novella is interesting because, among other things, it discloses many late nineteenth century cultural anxieties concerning degeneration, male sexuality and male identity; issues I have always been particularly interested and drawn to in literature. It is also a mildly frightening book in that it uses the theme of the ‘divided self’ or the theme of the ‘beast within’ to suggest what would have been shocking to a British bourgeois sensibility: that atavism might be closer than originally thought; within the heart of the Victorian gentleman and beneath the veneer of the middle-class professional man. Indeed, although it was already an established prejudice at the time that the degenerate individual was more likely to be found in the morally depraved lower classes or among violent criminals, labelling the middle and upper classes as decadent was also becoming common during the fin-de-siècle. The late nineteenth century Victorians were overtly aware of the fact that they were living in a time of unprecedented and rapid social change. The end of the millennium seemed to signal social and cultural collapse and with it came a feeling of cultural malaise that is usually associated with the end of centuries. And even at the height of its imperial supremacy, Britain was experiencing anxiety about the decline of its power and prestige in the world, a feeling which was often expressed through the pseudo-scientific discourse of degeneration. Ideas about degeneration took on the form of common knowledge through the works of Cesare Lombroso, Max Nordau’s Degeneration, and through social scientists and evolutionary psychologists of the time. Degenerationists, as they were called, maintained many ludicrous notions, one of these being that one could read deviance and the potential for crime in the physical characteristics of an individual. 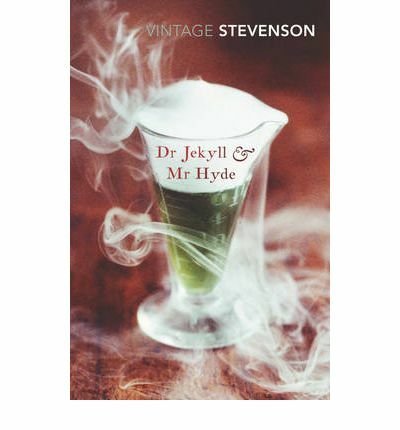 Reading the novella, it is clearly evident how Stevenson draws on the portrait of the atavistic individual and the discourse of degeneration for his description of Mr Hyde. The metaphors associated with him are ones of abnormality and disease. The reaction Hyde elicits from all who encounter him, an unnameable feeling of repulsion combined with a general sense of his disgusting deformity, suggests that those who see him recognise something of the evil, and primitive instincts which lurk, repressed, beneath the façade of the civilised gentleman. Everyone in the novella unanimously agrees that there is something disturbing about him. Mr Hyde is repeatedly described as ape-like, with hairy hands and possessing a deformed and dwarfish constitution, yet he also has a very light step and weeps like a woman (women also being considered degenerate!). The elusiveness with which he is described throughout implies that he is evil but also that there is something ambiguous about his sexuality, a fact which gestures towards Victorian’s anxieties concerning the rise of deviant sexualities in the fin de siècle. It was a time when sexual and gender boundaries were becoming blurred and, in literature, brought to the fore and questioned. Cultured aesthetes, decadents, homosexuals; all were coming under increased scrutiny as a consequence of their “subversive” moral and sexual standards. Mr Hyde’s appearance gestures towards these anxieties, making him an even more fearful figure to his contemporary audience. Stevenson’s depiction of a male community of bachelors in this novel also conveys an awareness of the complex array of issues concerning male identity and sexuality at the fin-de-siècle. Indeed, the absence of significant female characters, together with the male professional community the novella represents, have invited readings of the text whose focus is on gender issues and more specifically how the novella conveys anxieties around the late nineteenth century “crisis in masculinity”. While many critics state that Stevenson depicts the domestic space as a symbol of male repression and isolation, others focus on how the model of masculinity depicted in the figure of the bachelor replaces the traditional component of the Victorian family with the homosocial, allowing the male to inhabit the domestic without the female presence. Indeed, a sense of the repressed desires and the emotional estrangement of men beneath the screen of gentlemanly civility and propriety is present throughout the novel. Dr Jekyll, as well as the other male characters, is always figured alone and in the non-presence of women. The reader is told that Mr Utterson (a friend of Dr Jekyll’s) ‘was austere with himself; drank gin when he was alone, to mortify the taste for vintages; and though he enjoyed the theatre, he had not crossed the doors of one for twenty years’, which immediately sets up the image of the repressed and isolated male. I like this novella for its use of the fantastic and its use of the theme of the split personality. The trope of the divided self is so familiar that you have most probably come across it before in some form or another, so embedded is it in the popular imagination. I also like that the text demonstrates how, among many other works of literature of the late nineteenth century, it absorbed contemporary “knowledge” about degeneracy and expressed anxieties surrounding the redefinition of gender and sexuality in the fin-de-siècle. The novella also clearly testifies to the way in which cultures account for their anxieties and troubles through the stories they tell themselves. This entry was posted in Arts, Books and tagged book review, books, books you should have read by now, classic, literature, Review, Robert Louis Stevenson, The Strange Case of Dr Jekyll and Mr Hyde. Bookmark the permalink.